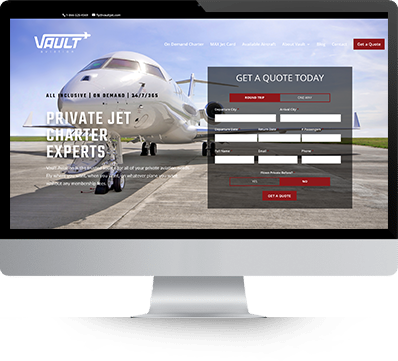 Vault Aviation came to us in need of a total redesign of their existing website. 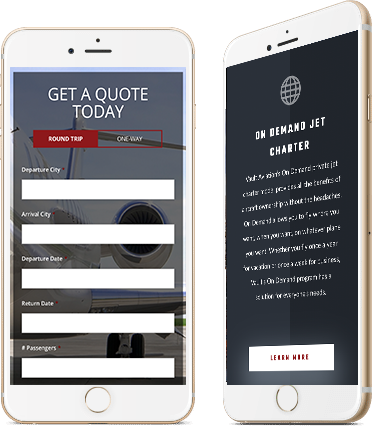 So, we got to work coming up with a creative design that was modern and clean, while also reflecting the company’s existing brand. 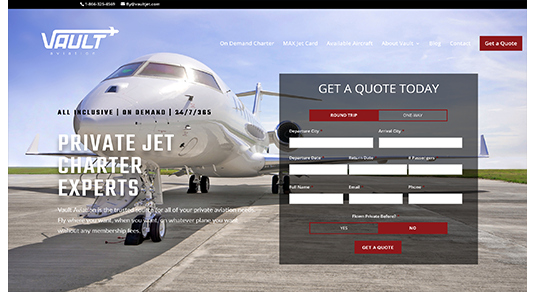 We really got the opportunity to be creative with this web design project, and love the way that everything turned out. From the layout and navigation to the overall flow and incorporation of imagery, everything turned out even better than we could have hoped for.